Spring, are you there? It’s me, Tiffany. Although it certainly doesn’t feel like it, spring has officially sprung. But for us Torontonians, we have freezing rain and below zero temperatures to deal with in the coming days. Suffice to say, this dreary weather has me dreaming of lighter, airier clothes in soft and dreamy palettes. So in the meantime, I’ve compiled some of my favourite pieces I’m lusting after this season that combine the perfect blend of comfy and chic. The result is a fresh and simple look that elevates your basic neutrals with a super soft palate. Now if only Mother Nature would cooperate and bestow some sun and warmer weather to us soon, please and thank you. 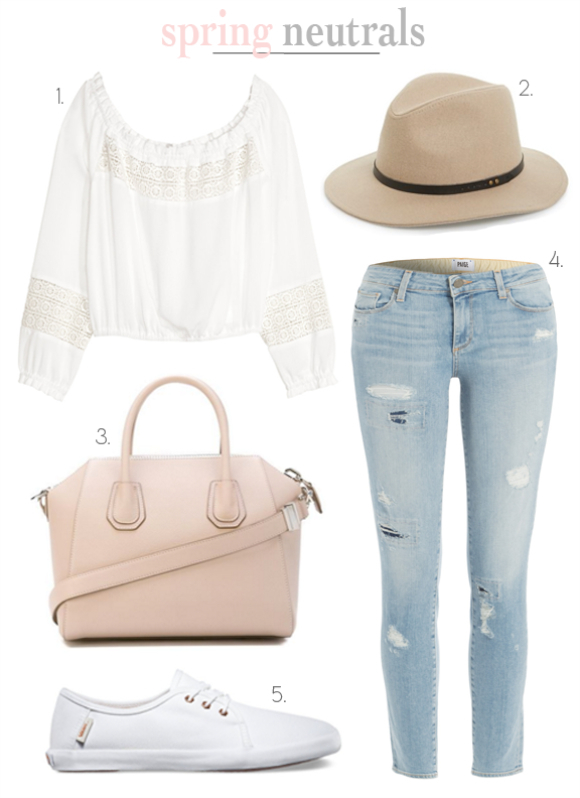 Great post on spring neutrals. The entire looks are fabulous. Thanks for this post. I am going to attend a public event at a Chicago event space and was looking for colorful dress ideas. Really want to look at my best for the day.